An ultimate list of Top 14 best free and paid WordPress membership plugins. In this article, I am going to list 10 most popular best free WordPress membership plugins. A membership website will have specific content for members of the site. The content could be tutorials, videos, e-books, digital downloads, news articles etc. Generally, members have to pay a fee to become a member. It could be a one time fee or a recurring fee (billed per month/3 months/year etc) to get access to some or all of the members-only content. By default, WordPress allows all content to be “open” and viewable by anyone and allows the site owner to restrict specific content if desired by setting a password for the post. With free and premium WordPress Membership Plugins you can restrict access to all or specific posts, pages and media by default. 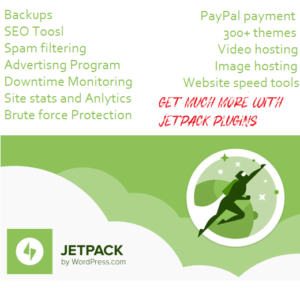 So many free and premium Membership Plugins are available for WordPress. Here is a list of features different WordPress membership plugins offer. Premium membership plugins offer advanced features and regular updates. The purpose of membership sites is to earn passive income, so you should not hesitate to invest in powerful and trustworthy plugins. WP eMember is a premium WordPress plugin from tipsandtricks-hq.com to create free and paid membership sections on your WordPress based websites or blogs. It is an up to date WordPress membership plugin, which is compatible with WordPress 4.4. WP eMember also has the option to use the new Google Captcha. WordPress eMember is a powerful WordPress Membership Plugin to turn your existing or new WordPress website into a fully featured membership website easily. With WP eMember you can create different membership levels ( e.g Free, Basic, Premium, Ultimate etc). With different membership levels, you can selectively protect articles (blog posts) and other content (including posts, pages, comments etc) of your site. A detailed getting started documentation is also available for WP eMember. WP eMember membership plugin provides many great features, including Fully Automated Membership System, content (posts, pages, media) Protection, multiple Membership Levels, member management, Automatic Membership Upgrade and more. TipsandTricks-hq.com: has also created many different and very useful plugins for WordPress bloggers, You can download all WordPress Plugins from tipsandtricks-hq at their product page. MemberPress is an advanced buy yet easy to setup plugin that will help you build astounding WordPress membership sites, accept credit cards securely, control who sees your content and sell digital downloads all without the difficult setup. You will be able to instantly start charging your users for access to your content. MemberPress will help you confidently create, manage and track membership subscriptions and sell digital download products. In addition to these features, MemberPress will allow you manage your members by granting and revoking their access to posts, pages, videos, categories, tags, feeds, communities, digital files and more based on what memberships they belong to. MemberPress integrates with many 3rd party solutions such as Stripe, HelpScount, WooCommerce, ActiveCampaign for processing payments, running an affiliate program, email and more. Oh, and they won’t “nickel & dime” you … MemberPress integrations are included! With MemberPress plugin, You can create powerful and compelling WordPress membership sites that leverage all of the great features of WordPress, WordPress plugins and other 3rd party services including content management, forums, and social communities. You are completely protected by our 100% No-Risk Guarantee. If you don’t like MemberPress over the next 14 days, They’ll happily refund 100% of your money. No questions asked. S2Member is another one of the most popular, best and powerful (free) membership plugin for WordPress. With S2 membership plugin, you can protect members-only content with user roles and capabilities. The s2Member Framework free WordPress membership plugin integrates with PayPal Website Payments Standard (also free). You can set up a Membership access to your site. This free plugin allows you to restrict access to user roles, Capabilities, Posts, Pages, or anything else in WordPress. You can even protect all downloadable files and stream audio and video on your WordPress website. You can store files locally, or use s2Member’s integration with Amazon S3/CloudFront. A pro version is also available which allows you to accept payments via Stripe, PayPal Pro and Authorize.net. s2Member Framework requires WordPress 4.2 or higher. YITH WOOCOMMERCE MEMBERSHIP is an ultimate solution for selling products like video courses, eBook,s plugin, themes etc with dedicated access is a great opportunity to increase your earnings: big companies like Udemy or Treehouse prove it, achieving a huge amount of sales volume with this business model. This powerful plugin is created by yithemes, a dedicated marketplace for WooCommerce plugins and themes. YITH WOOCOMMERCE MEMBERSHIP comes with 30 DAYS MONEY BACK GUARANTEE and 100% refund if you are not satisfied. WooCommerce Membership extension allows you to sell online memberships with WooCommerce and restrict access to posts and pages or custom post types on your website. Quality of this plugin is checked by Envato, the leading marketplace to buy WordPress themes and plugins. It means You can trust this plugin. Memberships are not a specific type of WooCommerce product; instead, membership plans are created independently from products. This lets you determine how access is granted for maximum flexibility. You can assign 0 or more products (of almost any type) to a membership plan to support several types of memberships. 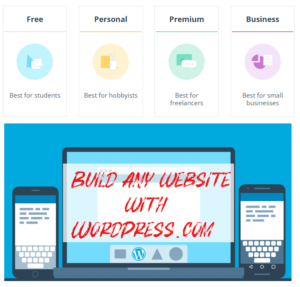 If you don’t have the budget for more powerful premium plugins and need to set up a basic membership site with limited features, you can use free WordPress membership plugins. Here are a few free plugins, you can use to create a membership site. 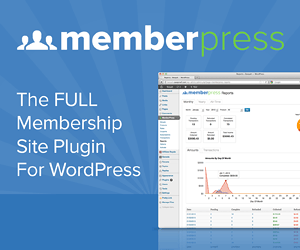 Paid Memberships Pro is one of the most popular free WordPress membership plugins. It requires WordPress 3.5 or higher and is compatible up to WordPress 4.4.2. With Paid Memberships Pro plugin you can set up unlimited membership levels and provide restricted access to members-only content (including pages, posts, categories, videos, forums, and downloads). Accepting payments is also easy because Paid Memberships Pro integrates with The Most Popular Payment Gateways including Stripe, Authorize.net, PayPal (Standard, Express, Website Payments Pro, and PayPal Payments Pro/Payflow), Braintree, 2Checkout, and Cybersource. Dozens of free and premium add-ons are also available. PMPro integrates with MailChimp, Constant Contact, AWeber, GetResponse, Social Login, KISSMetrics, Infusionsoft, WP Courseware, LearnDash, Post Affiliate Pro, bbPress, WooCommerce, and many more popular third-party tools. Ultimate Member is another free and up to date WordPress membership plugin. It requires WordPress 4.1 or higher and compatible up to WordPress 4.4.2. A lightweight yet powerful plugin that will turn your simple WordPress website into a fully functional membership website. It allows you to add beautiful user profiles to your site and is perfect for creating advanced online communities. Ultimate Member is a Lightweight and highly extensible free membership plugin, that allows you to create almost any type of site where users can join and become members with absolute ease. More than 15 free and premium add-ons are also available for this free WordPress membership plugin. Google reCAPTCHA and Online Users are two free add-ons. Social Activity, WooCommerce, Private Messages, Real-time Notifications MailChimp, User reviews are few premium add-ons for Ultimate Member. Ultimate Member has been translated into many languages including Spanish, French, Italian, German, Dutch, Finnish, Danish, Swedish and many more. With 20,000+ active install Groups is an efficient and powerful membership solution for WordPress, which provides group-based user membership management, group-based capabilities, and content access control. According to Groups WordPress membership plugin developers, it is designed as an efficient, powerful and flexible solution for group-oriented membership and content access control. Many available add-ons, you can easily enhance the functionality of this plugin. With this free plugin you can create an unlimited number of groups and assigning users to different groups is also possible. Groups plugin supports custom capabilities for groups: allow you to define new capabilities for use in plugins and web applications. Groups offer Built-in access control that allows restricting access to posts, pages, and custom content types to specific groups and users only. Groups for WordPress plugin is also multisite compatible, all features are supported independently for each blog in WordPress multi-site installations. Groups have many powerful addons, you can download more plugins for Group here. This WordPress Membership plugin is another popular and free plugin from WPMUDev. Membership 2 is a free plugin to transforms your WordPress website into a fully functional membership site. 4.0.0.7 is the latest version of membership 2 is completely rewritten. This plugin provides access to downloads, online content, videos, forums, and support. The new plugin is easy to use and it adapts to the situation very well. Membership 2 even includes set-and-forget automated recurring payments, so you can focus on providing value while getting income from your members. The plugin provides an interactive setup wizard that will guide you through each and every step to install it. The special features that membership pro provides its customers with are as follows fully integrated coupon system. Coupon system helps to attract new customers. Membership 2 allows you to easily accept payments via PayPal, Stripe, and Authorize.net. You can even get paid via good old-fashioned manual payments. A premium version is also available, which offers more advanced features. Admin-side protection rules: This plugin gives it users the power to protect the website from different dangerous attacks. Network-Wide Protection: You can handle your site while sitting anywhere in the world. Simple Membership was last updated a few weeks ago, it requires WordPress 3.1 or higher and compatible up to WordPress 4.4.2. Simple membership WordPress plugin allows you to add membership functionality to your site. With this free plugins, you can easily Protect members-only content using content protection feature. With this free plugin, you can set up unlimited membership levels (example: free, silver, gold etc) and protect your posts and pages using the membership levels you create. Protecting your content is very easy because, when you are writing or editing a post or page in the WordPress editor, you can select to protect that post or page for your members. You can configure it to have free and/or paid memberships on your site. Paid membership payment is handled securely via PayPal. Simple Membership plugin records all the payments from your members, you can view them anytime by visiting the payments menu from the admin dashboard. An easy to use plugin, that would require very less time and effort to convert your simple website into a membership website. It will make easy for your community to support your work through this simple membership software. Sell memberships and restrict access to content with WordPress and Memberful. This is a very simple WordPress membership plugin that integrates your site with Memberful. Memberful is a service for selling subscriptions to your website with Stripe. Memberful.com offers three pricing plans to get started. Starter plan is free, which lets you create 2 subscription plans. Pro plans will cost you $25/month and ENTERPRISE plan $100/month. Your content. Your brand: As an independent business, you own your content, your website, and your brand. It’s your critical link to your audience. Fast: it is a light plugin thus it doesn’t make our website heavy. The loading time of the website is very less as compared to another site. Safe and Secure: Security is important and it has been specially taken care of. Members love website which has good security so this plugin will provide your members with good and healthy security. Easy Management: Your admin will be able to manage the data without any hassle. WP-Members: Membership Framework is another free membership plugin that is compatible with WordPress 4.4.2. It requires WordPress 3.1 or higher. It is a scalable plugin that provides the freedom to customize your WordPress website with the look and feel. It is a great free membership plugin for sites and blogs offering premium content to subscribers. With WP-Members you can allow members to log in from the front end of your website. To use WP-Members: Membership Framework, you don’t need to modify or customize your theme. WP-Members also offers the ability to change the default plugin settings. For those that simply want to utilize the member management features and possibly restrict some content, the default setting can easily be toggled to block or unblock pages and/or posts by default. I have listed 14 most popular and best membership plugins for WordPress, there are so many other plugins available, which plugin do you use, share your views with us in comments below. Just wanted to see if you would consider including Armemberplugin.com (ARMember) membership plugin for WordPress. At the time of writing this, we have almost 6,000 ARMember users and 4,400websites running ARMember. It would be a shame if your readers didn’t even consider ARMember when doing their membership plugin research. So hope you consider including us on your list. I used ultimate member. It is very nice and simply superb. It has easy settings to understand. If a use a membership plugin, do I still need Buddypress? That’s a brilliant article on membership plugins. I really loved your list of membership plugins and the research you have done. I think Paid Member Subscriptions is an excellent membership plugin. If you are looking to drip content to a specific group of users rather than making it available in one go, then MagicMembers is the plugin for you. I have compiled my own list of membership plugins. Woohoo! Thanks for article! Found what i looked for – free membershipz with multisiting! Yay! We would love to be added to your list. Awesome post! We’d love to see LifterLMS included. We are free and include Membership functionality as well as LMS funcitonality. Thanks for sharing your plugin, i will update this article soon.